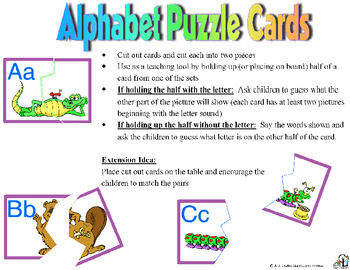 Alphabet Puzzle Cards: This amazing, colorful alphabet set is one you will want to use all year round! 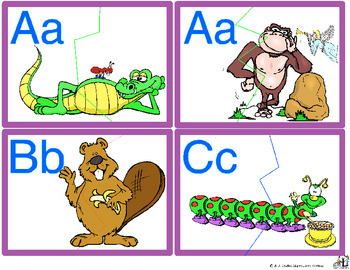 Each card has at least two pictures that begin with the initial sound shown. Fabulous for any unit! Created by C and L Curriculum.